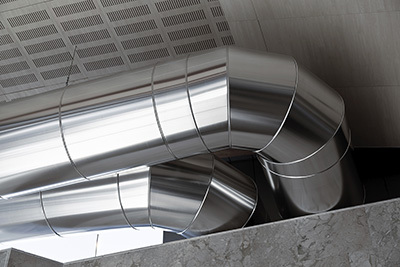 Residential ductwork systems travel across basements and attics and many more areas around the house.Air ducts are the tubes, which are connected with the ventilation or central heating system of each house. They allow air flow in and out of every room so that the residence will have the right temperatures. The problem is that these tubes collect too much dust, which travels with air and ends up in people's houses. Dust contains a huge number of allergens. Although these allergens do not affect people's health in the open air, they can be very harmful when they are confined in limited spaces. This is the main reason why the services provided by “Air Duct Cleaning Oakland” are important. Aiming to improve indoor environments and helping people deal with temporary allergies, our professionals are fully organized and trained to remove debris from ducts. Regardless of the age or material used for the construction of ducts, our professionals can clean them. Our company uses special brushes and equipment so that fiberglass panels and flex materials won't be damaged. Air coming in through ducts is never perfectly clean. It always travels with dust, which is accumulated in the inner parts of the ducts. Larger flying objects during a windy day are blocked from the duct filters and that's why air duct filters need to be checked, cleaned and replaced if necessary. Depending on the materials and their installation, ducts might crack over the years. Air ducts are installed in areas which are not ventilated properly, like basements and attics. With humidity passing through the seams and cracks and dust already found inside the ducts, mold is likely to grow, too. Air duct cleaning becomes a necessity for health reasons. Dirty ducts are the perfect places for the multiplication of air borne allergens, which might create significant health problems. If you move to a new house, feel the indoor atmosphere stuffy, have made some construction work, never cleaned the ducts in the last decade, have pets or experience nausea, allergies and other respiratory symptoms, call our company.Our air duct cleaning company is properly equipped and our team arrives at your house fully prepared to remove debris & microorganisms and help your ventilation or HVAC system work better. With our service, the entire indoor air quality changes, the heating/cooling systems operate at their best, and your family breathes better. Ducts are cleaned thoroughly with the right professional vacuums and other equipment, which is capable to go through the ducts and remove dirt but also allergens and mildew. Thanks to our state of the art machinery, your house is not affected by the whole procedure and dirt is directly forwarded to our special vans. The residential air duct cleaners of our company are trained to deal with special problems, clean all types of ducts and take care of such systems. Our technicians can inform you about possible weaknesses of the ducts so that you will know whether there is need for air duct repair or some parts need to be sealed again. If you need more information about our air duct services, send us a message!